When he announced his intention to follow through on his campaign pledge and withdraw Canada’s combat planes from the bombing mission in Iraq and Syria, Prime Minister Justin Trudeau was determined to make clear that the Canadian government was still very serious about the fight against ISIS. Trudeau pledged that Canada would do “more than its part”, that it would continue to have a “meaningful” role in the mission, and that the number of Canadian military trainers working with the peshmerga in Iraq would be substantially increased. The drawdown of Canada’s CF-18s wasn’t a marker of Canada’s disenchantment with the mission, Trudeau insisted; on the contrary, it would allow us to be more effective partners in the coalition fighting the Islamic State. The Canadian government’s position on ISIS, then, remains essentially the same as it was under former Prime Minister Stephen Harper. Harper pledged to use the Canadian Forces to “degrade the capabilities of ISIL, that is, to degrade its ability to engage in military movements of scale, to operate bases in the open, to expand its presence in the region, and to propagate attacks outside the region.” His use the word “degrade” was no doubt a deliberate echo of Barack Obama’s pledge to “degrade and destroy” ISIS. Trudeau doesn’t use such blunt and violent language, to be sure, but his firm commitment to continue the mission Harper embarked upon as effectively as he thinks is possible speaks volumes; he thinks this is a fight worth fighting, and if we take him at his word, he only differs with Harper and the Conservatives on how best to go about conducting that fight. And on that topic a feverish debate is raging, with some, including retired general Rick Hillier, wanting to see Canada to much more to combat ISIS, including sending Special Forces troops into Iraq and Syria. This debate makes mountains out of minor differences. 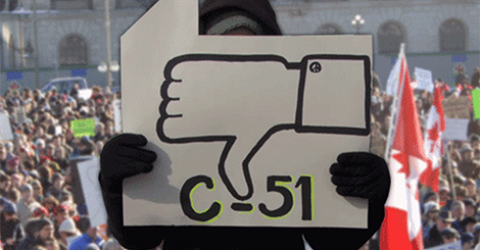 The continued presence of Canadian fighter jets – which participated in a mere 3% of the coalition’s strikes against ISIS – wouldn’t amount to much one way or the other, notwithstanding the Conservative Party’s feverish objections. The simple truth is that Canada has been and will remain a bit player in this coalition, and any adjustment of our approach will have a negligible impact on the ground.